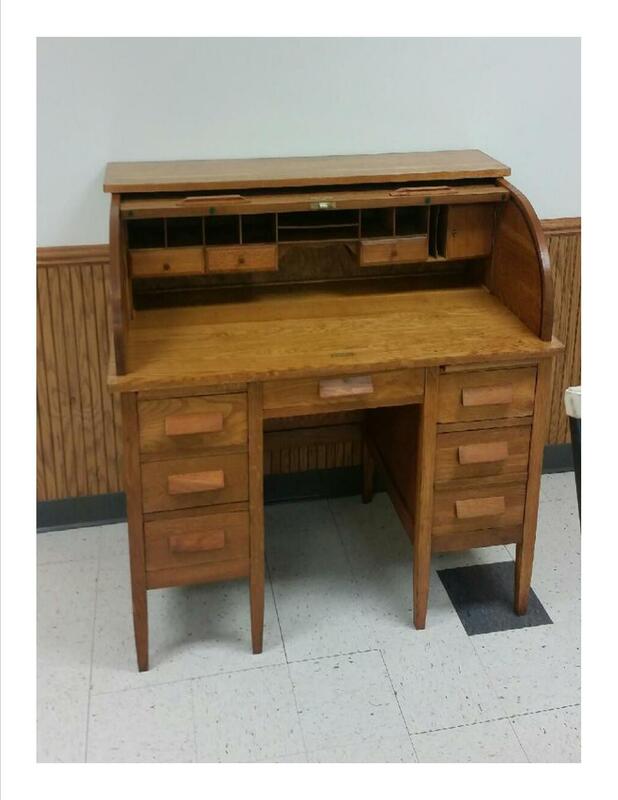 Monticello Fire Department's original roll-top desk has come back home and is now on display in our meeting room. It is now fully functional after repairs and refinishing work donated by Ken Keough. 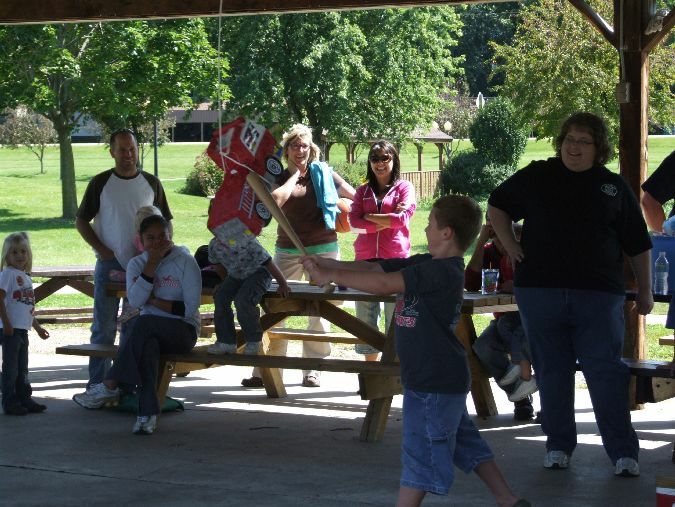 In late 2013 the members of the department began work on a scholarship fund in honor of Travis "TJ" Disch. Criteria has been worked out and the first recipients of the scholarship will be announced at the 2014 High School graduation. Information for future graduates of MHS on the program may be obtained from the High School Guidance Department. We tried to place special emphasis was placed on the following items community involvement outside of normal school functions and a desire to pursue a career in either the fire service or the medical field. First "Annual TJ Fall Color Cruise"
What we hope to become a annual event took place on October 18th. 2014 Friends of Travis Disch put on a "Fall Color Car Cruise" with the help of department members. The cruise was well attended and should only become a bigger event in following years. All proceeds were donated to the department's scholarship fund. Just over $2500 was raised during the event. Many thanks to Jill & Dave Klossner and their friends for their work in starting this event. Along with hosting a Firefighter I class and First Responder recertification class we also did the following special class's. Each has a link to pictures of those sessions. You should be aware we are now alerted by the Green County Dispatch Center in the event of a severe storm warning. The siren will be activated remotely by personnel at "Green County's Dispatch Center" This may result in a "County Wide" alert during bad weather. The alert will be a 3 minute steady blast from the siren followed by a 1 1/2 minute up and down tone signal. You are advised to take shelter at that time also if you have a portable radio or a weather radio take it with you to your predefined shelter area. Testing of the "Tornado Alert" may be done on the first Wednesday of the month during storm season. The timing on this is solely done by the discretion of the Green County Sheriff's Department. Always check local radio and TV stations for more information as weather updated via a local TV channel may be your best and most current source of storm information. Also a battery operated radio or weather radio is a good source of back-up information in case of a power failure. About a dozen fire department vehicles from Monroe, Monticello, Juda and Brodhead rolled into the Monroe Emergency Response Inter-Agency Training Center Tuesday for a final night of a three-part training session. For the past month, the four fire departments have been involved in "Company Operations" focusing on the essential skills firefighters need to use specific apparatus. 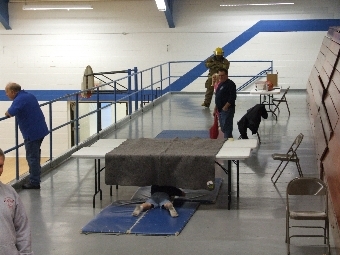 "They have to do the basics to survive, or why go to the next level," Monroe Fire Inspector Lane Heins said. Classes consisted of brush fires with human rescue; a hose residential and commercial obstacle course with a nozzle information station, and an aerial exercise with ladder trucks plus a rescue challenge course. While the purpose of the training is to ensure a level of competency for each firefighter, Heins said the training also builds camaraderie between the departments and familiarizes firefighters with differences in department equipment. "One problem is couplers of different hose sizes," Heins said "But we've made modifications and are adapting." The cross department training also adds a bit of completion, with each exercise being timed and recorded for each department to compare with past training records. When adrenaline gets going at the scene of a real fire, firefighters can "forget in the moment," Hei9ns said. As an officer on scene, he has had to tell his firefighters to "relax, relax." Training ensures things are done a certain way, until "it becomes second nature," Heins said. New changes by FEMA and Home Land Security have brought down 2 new changes that you will see in how your local fire departments operate. They can be summed up in two words and you will be hearing more about them in the future. Accountability: Departments now are required to adopt a standardized accountability system this system is to be used to monitor what every firefighter is doing at any fire scene. Generally one firefighter is assigned the reasonability of monitoring the system. To the outsider it may look quite strange for a firefighter to be standing of to the side armed only with a large clip board and portable radio. Its that firefighters job to track all active movements of fire crews, having crews rotate to and from the fire scene if the work load requires a rest period for firefighter rehab. All firefighters are issued 2 small name tags that are Velcro equipped, they are given to the Officer in charge of that responding unit he then relays a set the tags to the "Accountability Officer" and relays to him that crews function at the fire scene. Accountability is used to insure knowing the location of all firefighters at a fire scene and assuring that firefighters have adequate rest periods if doing strenuous jobs. 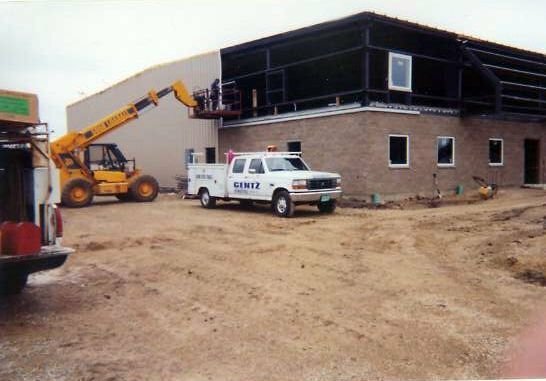 MABAS: MABAS is a mutual aid organization that has been in existence since the late 1960s. Heavily rooted throughout northern Illinois, MABAS includes over 550 member fire departments organized within 46 divisions. MABAS divisions geographically span an area from Lake Michigan to west of Rockford and south through Champaign-Urbana, Douglas County, St. Clair County, and St. Louis. Four Wisconsin divisions also share MABAS with their Illinois counterparts. MABAS is basically a automated mutual aid call-up system. Its purpose is to insure a rapid response from mutual aid partners to structure and other large fires. Departments may be paged and respond to a adjoining district only to be dismissed from the call before arrival, to some outsiders this may look like a erroneous call but it is not. Each call been different a fire officer may elect to start a MABAS Call-Up while they are in route to the emergency thus speeding up the response time for Mutual Aid. 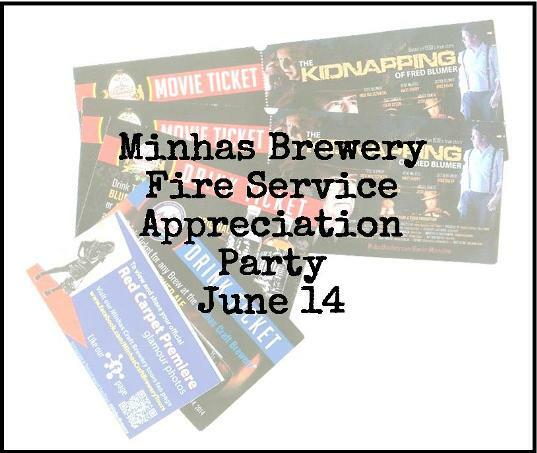 Departments will be spreading the call-ups across a wider area as to not deplete any one departments recourses, Preliminary plans have placed the City of Monroe FD as a 3rd level MABAS response to a Fire in Freeport, Beloit and Rockford. Depending on department staffing and equipment more mutual aid calls will be responded to. Of concern to us is the possibility of our Squad-4 being asked for more often, this unit is our primary responding "First Response" unit. average person on the street "what you will see as treatment will look different" what follows is a reprint on CCR. March 11, 2008 -- For adults who collapse after cardiac arrest, mouth-to-mouth resuscitation is dead. A new lifesaving technique, cardio-cerebral resuscitation, is much more likely to save lives than the old cardiopulmonary resuscitation or CPR technique, an Arizona study shows. It's a big change. Instead of using their mouths to give the "breath of life," rescuers should use their hands to keep blood moving to the hearts and brains of cardiac arrest victims, says Bentley J. Bobrow, MD, medical director of Arizona's emergency services system and an emergency physician at Mayo Clinic Hospital, Scottsdale. "It is not cardiopulmonary, but cardio-cerebral resuscitation -- you need to feed the brain, not the lungs," Bobrow tells WebMD. "That is why the emphasis is on getting the blood flowing and not interrupting it, even for ventilation." Stopping chest compressions -- even for mouth-to-mouth emergency breathing -- wastes precious time. "When that person collapses, your hands are their heart," Bobrow says. "If your hands are not on their chest, they have no heartbeat." The old CPR technique called for rescuers to give 30 chest compressions followed by two quick emergency breaths into the mouth of the victim, notes Mary Ann Peberdy, director of the resuscitation program at Virginia Commonwealth University. "It takes about halfway through that chest-compression cycle to build up a marginal pressure to the heart and brain," Peberdy tells WebMD. "As soon as you stop, that pressure almost immediately falls to zero. After giving ventilation, it takes halfway though next cycle to get the pressure back up -- so you are constantly chasing your tail." Cardiac arrest victims have oxygen dissolved in their blood. Their immediate problem isn't getting more oxygen into the blood, it's getting that blood to the brain and to the heart. When first responders used a professional version of the new technique, Bobrow and colleagues found, they saved three times more lives than they did with standard life-support techniques. The new technique saved 8.6 times more lives among victims with the best chances of survival. Bobrow and colleagues -- including Gordon A. Ewy, MD, whose team developed the CCR technique -- report these findings in the March 12 issue of TheJournal of the American Medical Association. An editorial by Peberdy and colleague Joseph P. Ornato, MD, accompanies the study. The study compared survival rates before and after emergency medical personnel from two Arizona cities were trained in the new technique. Before the new technique, patients suffering cardiac arrest had a 1.8% chance of survival. The new technique increased the survival rate threefold, to 5.4%. Among patients whose cardiac arrest was witnessed and who got emergency shocks from a defibrillator, the survival rate increased 8.6-fold to 17.6%. A cardiac arrest isn't the same as a heart attack. "A heart attack is a plumbing problem, and a cardiac arrest is electrical," Peberdy says. "A heart attack is a block in a pipe, and unless the pipe unclogs the heart muscle will die. A cardiac arrest is a sudden catastrophic electrical problem where the heart cannot beat at all. Cardiac arrest equals sudden death. You die unless you are resuscitated." People who suffer cardiac arrest suddenly collapse. 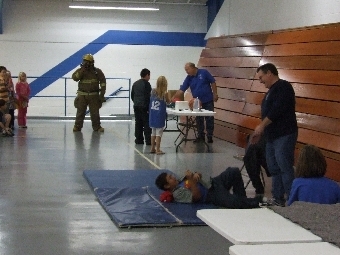 In adults, a collapse is almost always due to cardiac arrest. "If someone suddenly collapses, you can help, but if you do nothing, that person will almost certainly die," Bobrow says. "Activate the 911 system, position the victim with head tilted back so the airway is open, and then immediately start rapid, forceful chest compressions. Lock your hands together one on top of the other, put the heel of the lower hand in the center of the victim's chest, and push hard and fast, 100 times per minute. If you are lucky enough to have an AED [automated external defibrillator], attach it to the victim and follow the commands." Don't worry about mouth-to-mouth resuscitation or compression-to-breath ratios, Bobrow says. And don't worry about pushing too hard. The chest has to be depressed about 2 inches. Even if you crack the victim's ribs, you'll be doing much more good than harm. "You can't make anything worse. All you can do is help," Bobrow says. "Keep up the compressions until help arrives. If you get tired, have another person take over for a while." "The best message we can send people is, if they witness a cardiac arrest, push hard, push fast, and don't stop until the emergency responders get there," Peberdy says. Mouth-to-mouth resuscitation still has a role in patients with respiratory arrest. But Bobrow and Peberdy say that the vast majority of adults who collapse have cardiac arrest. Since cardiac arrest is rare in children younger than 8 years of age, rescuers should suspect respiratory arrest when young children collapse. Traditional CPR is still recommended for these young children. Recent changes to the the Green County Radio System has added "CAD" dispatching for the Sheriff and local police units. Also this service is being expanded into the Fire Service for Green County. 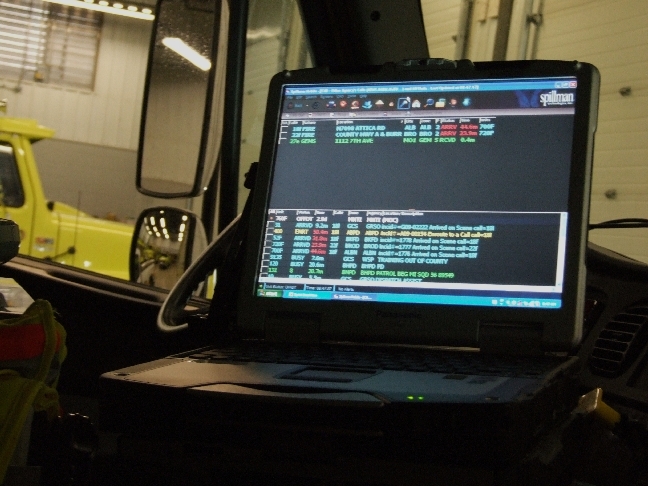 Monticello Fire has equipped 3 trucks with the CAD computer system. Command 7, Squad 4 and Engine 1 are the units that are equipped. At the present time the fire service units are connected to Green County Dispatch via cell phone data link. In the future this will change to be incorporated into the radio system thus providing better coverage. Cost for the system was paid for from a county wide grant from the Federal Government also included in the grant was the cost for the data link for 2 years. 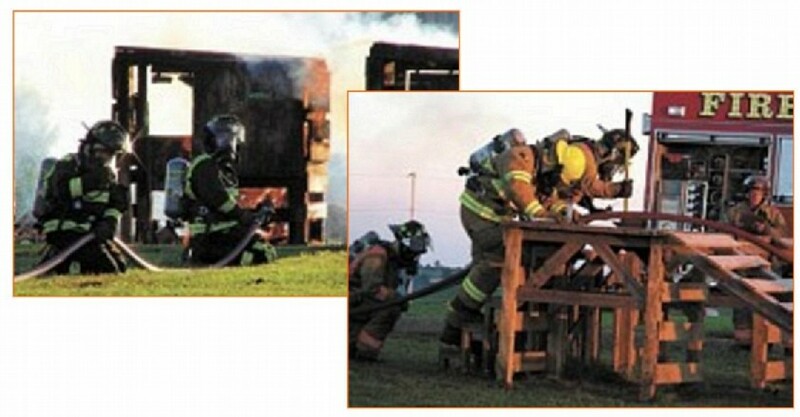 Below are 2 pictures of the system in Squad 4. The system has the ability to display map to any incident, hazardous material data, property owner contact information, and status of all units involved in any call. Status information will be very useful on Mutual Aid / MABAS calls. 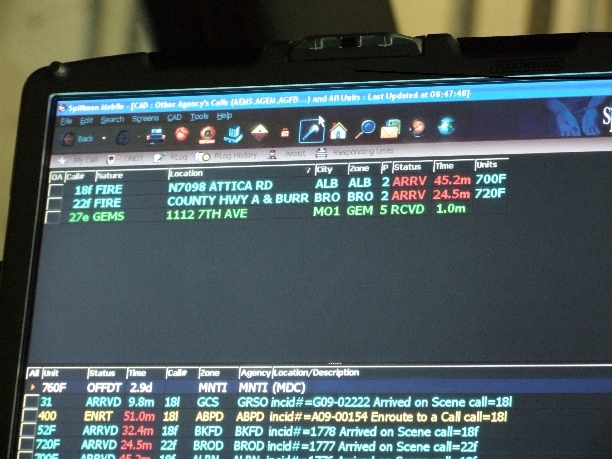 Shown below a close-up at the top are 2 actual fire service calls in the top portion of the screen line 1 and line 2 are for a fire call for Albany FD line 3 is for a EMS call for Monroe EMS "801". Fire Fighter Ron Blumer gives presentation to 4th grade students, then fire truck rides are given to kindergarten through 4tgh grade students. As part of fire prevention week Ron is showing Jules Cappelle's 4th grade class the right way to escape from a fire at home. 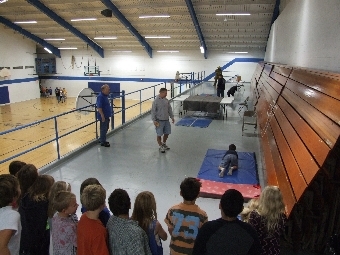 Ron gives the presentation to K-4th. graders, Ron is also a full time member of the City of Madison Fire Department. Ron's farther Wilbert is also a long time member of the Monticello Fire Department. Each year more and more grass fires seem to be started from improperly maintained or supervised trash/burn barrel burning. Please be aware of your surroundings and wind conditions when burning in dry times. Maintain an adequate buffer area of mowed grass surrounding all dwellings and out buildings in case of a grass fire. Also keeping shed doors closed if they contain hay or straw will be an added safety measure. Your family auto and Fire Service Vehicles have only one thing in common (they both go down the highway). Fire trucks are growing larger and heavier, pumpers and tankers today now approach 50,000 to 60,000 lbs loaded, squad/equipment trucks are 11 to 12 ft. high. For your own protection maintain your in-drive to allow for easy and quick access for multiple Fire Service Vehicles in case of an emergency. If you live in a rural development area that is serviced by a "Private Shared Drive" take a active part in assuring that all property owners and your developer plan and maintain drives that will allow for adequate access in times of a Fire or EMS emergency.